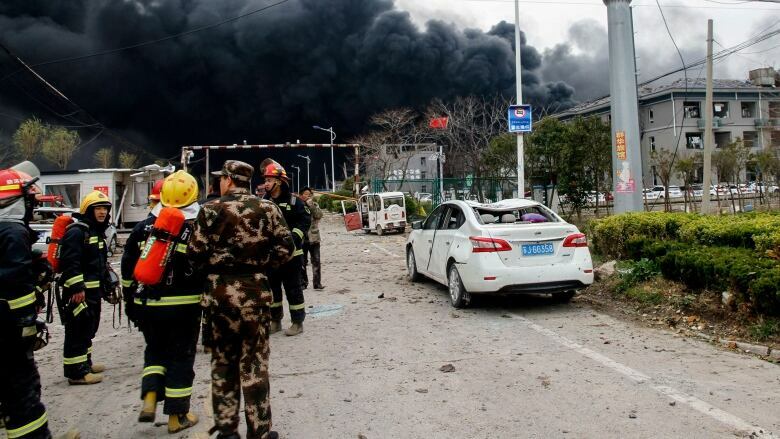 A massive explosion at an eastern China chemical plant with a long record of safety violations has killed at least 47 people and injured hundreds, 90 of them seriously. 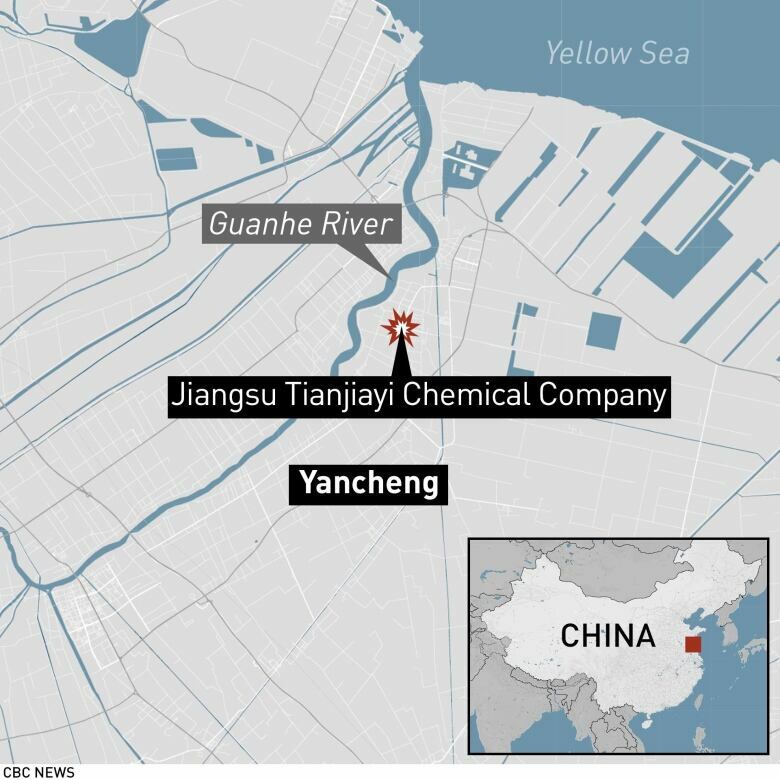 Thursday's blast at the Tianjiayi Chemical plant in Yancheng is one of China's worst industrial accidents in years. Nearly 1,000 residents have been moved to safety as of Friday as a precaution against leaks and additional explosions, the city government said in a statement posted to its official microblog. State-run television showed crushed cars, blown-out windows and workers leaving the factory with bloodied heads. Windows in buildings as far as about 6 kilometres were blown out by the force of the blast. The city government statement said 3,500 medical workers at 16 hospitals had been mobilized to treat the injured, dozens of whom remain in critical condition. The blast created a crater and more than 900 firefighters were deployed to extinguish the fire that burned into the night. Among the worst accidents was a massive 2015 explosion at a chemical warehouse in the port city of Tianjin that killed 173 people, most of them firefighters and police officers. The blast was blamed on illegal construction and unsafe storage of volatile materials.